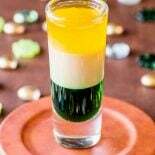 If you're looking for a green, white, and orange party drink for an Irish-themed celebration, this Irish flag shot is easy to make and fun to shoot. 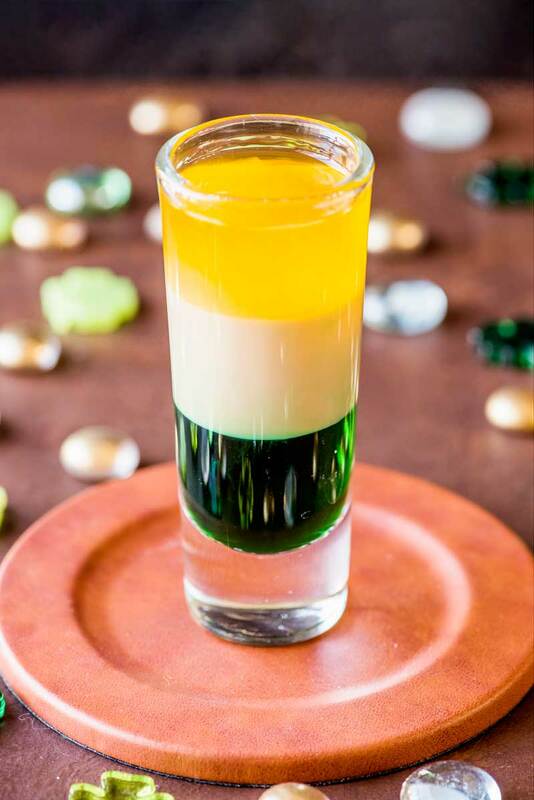 Whether you’re celebrating Saint Patrick’s Day or just want to enjoy a little luck of the Irish, this Irish flag shot is sure-fire way to set a fun mood. The Green, white, and orange perfectly capture the look of the Irish flag and are great for a themed party. Now, I’m going to be straight with you: if you make this shot, do it for the look. In order to achieve the layered look with the correct colors, you have to use specific types of alcohol. And when these different drinks come together, the taste is very… interesting. It doesn’t taste bad, but it’s certainly an experience. Trust me, anyone who takes this shot will be talking about it for years to come. How do you make an Irish flag shot? 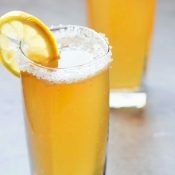 1 – Getting the right color and consistency for each layer of the drink. For the first and second layer, there really are no substitutions. 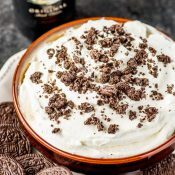 You will need the rich green hue of the Creme de Menthe as well as the chemical reaction that ensues when the Baileys Original Irish Cream comes into contact with it. When these two drinks touch, the Irish cream will curdle and thicken, which is what makes the layers you see possible. 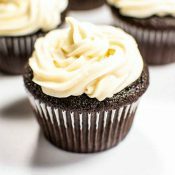 As for the third layer, you do have a little wiggle room in using different brands or flavors – but be cautious. Grand Marnier orange is a great fit because the color is right and it’s very acidic, which is why it doesn’t blend with the cream layer. However, if you have a clear acidic drink you’d like to use instead, you can always mix it with a bit of food coloring and then layer it on top. 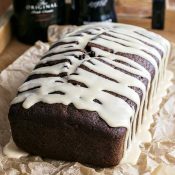 Just be sure to do a small-scale test of the layering before wasting precious Creme de Menthe and Baileys on a botched third layer. 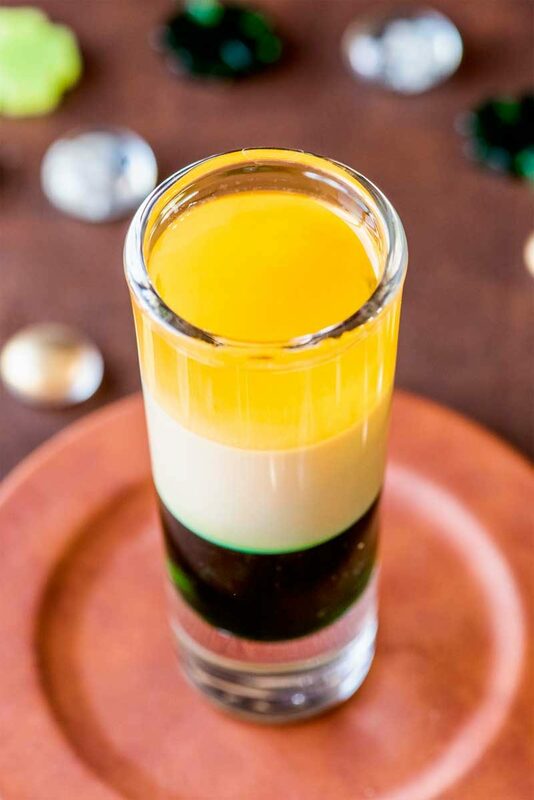 2 – It’s best to use a tall, narrow shot glass. Over the years I’ve tried to make this drink work in different glasses, but alas, it has all been in vain. The best (and easiest!) way to make this drink is just how it’s shown: in a tall, narrow shot glass. 3 squeeze bottle for better accuracy when pouring the shot. A small spoon or knife that’s small enough to reach near the bottom of the shot glass. For better control in constructing this shot, I recommend using a squeeze bottle for each of the three different alcohols used. In a tall shot glass, add one part creme de menthe (about 1/3 of the shot glass). 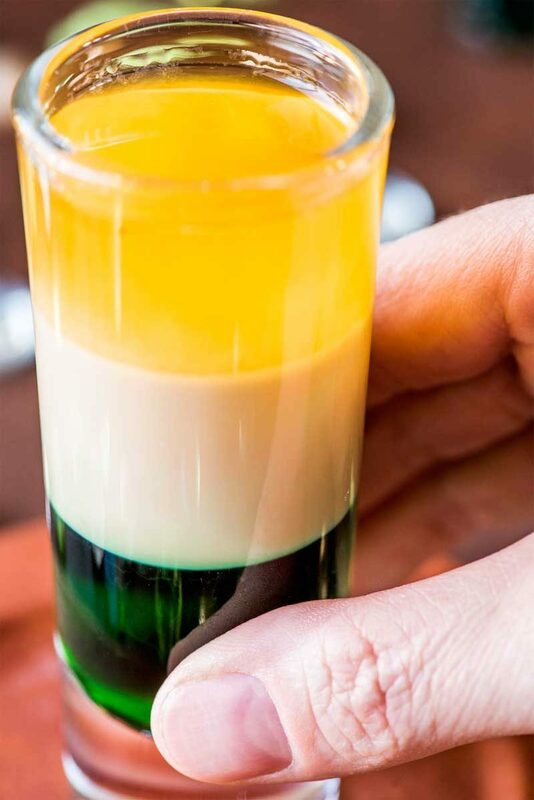 Insert a small spoon into the shot glass, upside down, so that the tip of the spoon is submerged in the top of the creme de menthe. Very slowly, pour the Baileys over the back of the spoon so that it slides off and gently comes into contact with the creme de menthe. 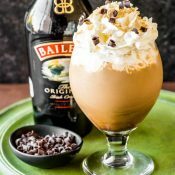 Continue pouring until the Baileys Irish Cream layer is 1/3 the size of the shot glass. 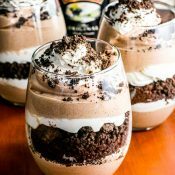 Wipe off your spoon, then insert it back into the shot glass, upside down, with the tip submerged in the top of the Baileys Irish Cream. Like with the previous layer, slowly pour the Grand Mariner over the back of the spoon. Fill the shot glass up the rest of the way with Grand Marnier. This looks amazing! Can’t wait to try it out when I muster the courage. :). Thank you. You make the best drinks ever! This looks amazing?? ?You make the best drinks ever!!! 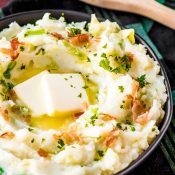 What a fun recipe for the holiday! Talk about a fun drink! I’m feeling a little tipsy just thinking about it!